The options are limitless when it comes for a camera and it is getting harder to choose which item is better because many of them are actually come with so many features you wish were available in a good camera. 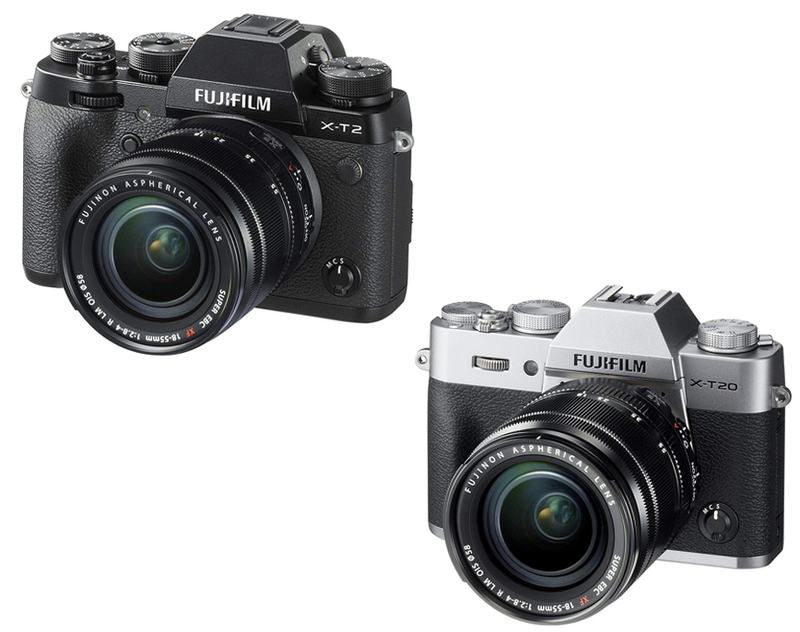 For those who want to buy a mirrorless type, in Fujifilm X T2 vs X T20 article today, we are going to give you information about these two similar yet different cameras regarding what they can offer to you and how they differ from each other. Since the release of X-Pro2 last year, it seems that Fujifilm will also release the newest model for their older camera the X-T1 and it is indeed true after the launch of X-T2 not long after. This one sitting near the X-Pro because they have many similarities and if you are interested, go check the comparison about these cameras in Fujifilm X- Pro 2 vs X-T2 here. The camera still have the same sensor but of course since it is newer, the company also have to put something new here to set it apart from the predecessor. 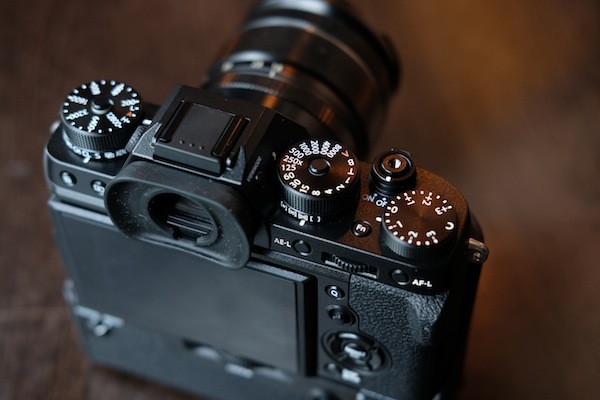 From the outside, X-T2 still comes in in the same body like its older brother, which is like the 80s SLR with the direct control dials for shutter speed and exposure compensation. However, if we compare them side by side, this model seems to be taller and also has deeper grip, but it is still subtle enough to go unnoticed. What’s prominent here is the additional AF joystick on the back of the camera and the threading for a cable remote release. As it has been mentioned earlier, the X-T2 comes with a 24.3MP APS-C X-trans III CMOS sensor you can find in X-Pro2 that was released earlier. This is the company’s newer sensor with a clever filter designed to eke out more detail if compared to other conventional designs, which is why it can deliver a similar impressive result like the other and also act as an upgrade from the previous 16.3MP from X-T1. The sensitivity now also runs from 200 to 12.800 but you can expand it from 100 to 51.200 and what’s good here is unlike the older model, now the camera extended range won’t force you to shoot in JPEG format only, but now you also able to capture raw file as well. Another improvement is on its electronic viewfinder. Even though it still uses the 2.36 million-dot OLED display with 0.77x magnification, it is now twice as bright because there is an automatic bright adjustment with baseline frame rate at 60fps. Together with the finder, Fujifilm also decided to upgrade the display but you probably won’t able to notice it just by looking because it still has the same 3 inch display with 1.04 million-dot resolution. However, now you can pull the screen outwards and away from the body while the camera is tilted on its side, which is great to shoot image in portrait format. X-T2 also the first X series to offer 4K UHD video recording. X-T2 is indeed not an affordable camera and some people may want to pick another similar good camera but wish to spend a little bit less and if you are one of them, you may want to check at its little brother the X-T20. It still comes with so many useful features but since it is less expensive, you will also have to prepare to lose some of what you probably like from XT2. For starters, this one has some new features namely the company’s new 24MP CMOS sensor and image processor. Just like its older brother, the X-T20 also comes with a beautiful design in two options; black and silver. The overall body is made from sturdy magnesium alloy. However, the dials on the top plate and controls are a bit plastic-ky. The camera will fit well in your hand while the control dial is within the reach for most part. What shines the most from its design is the numerous direct controls on top area. As it has been mentioned earlier, this one has 24.3MP X-Trans CMOS III APS-C sensor that will deliver a magnificent boost compared to another more affordable model like X-T10 and also make it place itself along with another competitors like D5600 and EOS 77D or mirrorless models like Sony a6300. Its ISO is boosted at 200 to 12.800 and if expanded it can range from 100-51-200 just like the expensive X-T2. It also take picture in both raw and JPEG format, again just like the older brother. In the electronic viewfinder, this camera still using the old 2.36 million-dot OLED electronic viewfinder like in X-T10 but, there must be some interesting thing happening here because even though the resolution matches the EVF used by X-T2, the magnification is only tops at 0.67, which is not that impressive. While the company believe that putting a touchscreen is not needed by their users in previous model, they change their mind here since they put it in this one. However, you also shouldn’t put too much expectation here because it doesn’t quite offer the same capability like those in EOS M5 for it will limits you to only acquiring focus by tapping the display, trigger the shutter, and pinching to zoom when you review images. So, if you expect to use it for navigating, unfortunately, you can’t. Now, let’s compare Fujifilm X-T2 with X-T20. The prominent difference here is the LCD because as we know X-T20 has touch sensitive screen even though the function is limited but X-T2 screen is articulated while the other is not. Another difference is their electronic viewfinder magnification because despite having the same resolution, X-T2 has better magnification at 0.77x compare to 0.62x in X-T20. All in all, the decision is all yours to make. In our opinion, both of them are equally good and you can pick whichever attract your attention the most. 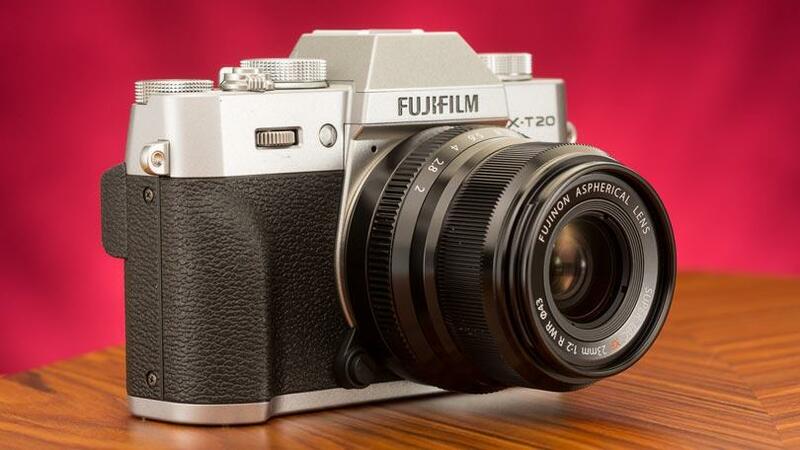 However, if we are to choose, we will recommend you the Fujifilm X-T20 with similar capabilities but friendlier price tag, moreover, its screen is also touch sensitive to be more convenient for you.